Restylane® Under the Eyes: Learn Why People All Over the World Travel to See LA Beverly Hills Trained, Award Winning, Published Author, Found of a New Beauty theory Bellevue Dr. Young & Prestigious Vanderbilt Trained Dr. Rikesh Parikh. By Sir Harold Delf Gillies Award Winning, Published Author, Beauty Theorist & Facial Plastic Surgeon Dr. Philip Young. Look & Feel Better in almost an instant. Restylane® in the Under Eyes Area can have a major impact on your appearance with very little downtime. "Before I looked like I was really tired and didn't have a good night sleep. Now I look refreshed and more youthful. I'm thrilled with the results." - DB 50's Caucasian from Renton, WA. ["
Dr. Philip Young is a Restylane® under eyes specialist with more than 12 years of experience in this area of expertise. Find out about his Theory on Facial Beauty and how this gives our Team an incredible advantage in getting the best results that you can get. Learn also about some of the other Unique reasons to choose Dr. Young and his Team. Restylane® for Under the Eyes by Aesthetic Facial Plastic Surgery of Bellevue | Seattle: Restylane® Under Eyes is a common topic brought up by patients, clients, doctors, and surgeons alike. There are many reasons for this. First, the eyes take on the most attention by people in their everyday lives when they talk to others. It is the most noticeable area on the face. In fact, there is a logarithmic decrease in the importance of other objects in the face the further you go away from the eyes. 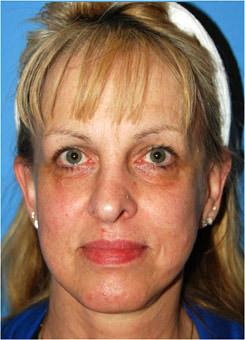 Second, the under eye hollows can occur early on before other age related changes take place. Sometimes, the early age related changes under the eyes can occur during the late teens and early twenties. Remember that if you are going to get fillers like Restylane® Under Your Eyes for Lower Eyelid Bags and Hollows it is a prudent idea to avoid blood thinners 2 weeks before and after your filler procedure. Here is a link to the Medications / Supplements to Avoid that will help you in this particular precaution. What are the Options for the under eye area? Fillers are the least invasive. We are specifically discussing fillers like Restylane®, Juvéderm®, Perlane and much less commonly Radiesse®. Even less invasive than fillers is to consider the option of conservative skin care, although the improvements with this modality are extremely subtle. 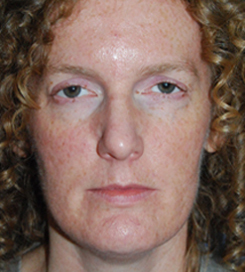 Fat injections are more of a long term option for filling in the hollows under the eyes. Facial implants that are placed on the orbital bone under the eye are more of an aggressive approach that, however, can last for the longest time! YoungVitalizer™ is another volumizing approach to fill in the under eye hollows for more long term improvement. You can click the logo found just below to see our website featuring the Breakthrough Procedure, YoungVitalizer™. Another option is a lower eyelift that can be combined with or without laser resurfacing in the lower eyelid to tighten up the skin. How does each type of treatment improve the under eye hollows and age related changes there? To answer that question one has to study how people age in the under eye area. What happens in the aging process here is largely due to a volume change and loosening of certain ligaments around the eye. Volume changes play a huge role. As you age you lose bony tissue, fat, connective tissue (collagen, elastin). This occurs under the eyes and what you see is what is commonly referred to as the double contour deformity. 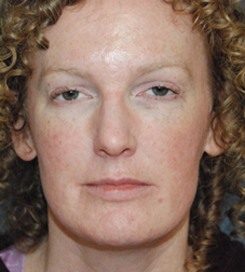 The orbital fat in the lower eyelid appears to be protruding and the cheek appears to be drooping. 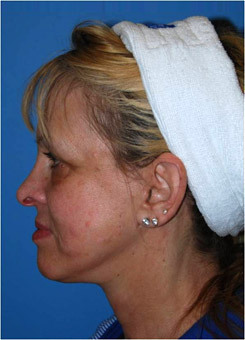 This is compounded and may be solely due to tissue that is lost in between the eyelid fat and the droopy cheek. In the past, the solutions entailed the lower eyelift. Orbital fat in the lower eyelid was removed. This served to decrease the superior bulging contour in the lower eyelid. This method essentially allowed the lower eyelid area to be more level with the orbital rim and created more of a gradual transition to the lower cheek. Although it was possible to get decent results this way, there were a lot of complications including: eyelids that were pulled down; the hollow look; an operated look; and not a younger and natural version of yourself. This approach with the lower eyelift has been found to be more and more less ideal for the solution in this region, although it is not without utility in some situations. But in general, we feel the lower eyelid lift is not the ideal procedure for lower eyelid bags and hollows. The lower eyelift does not really reverse what occurred during the aging process, which is predominately due to volume changes. This is the reason why fillers and volumizing have taken a bigger role in the aging in the lower eyelid area. Collagen used to be the main filler, but given the need for a skin allergy test and the lack of longevity with Collage, Restylane® and the hyaluronic fillers began to dominate. Restylane® has been shown to have much longer results. Although the results with Restylane® are still in the 6 month to 1 year range, it was much longer than the sometimes 1-3 month range for collagen. 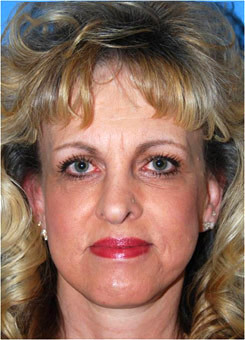 The longevity of Restylane® caused an explosion in the use of fillers. Other Hyaluronic acid fillers like Juvéderm®, Perlane started to increase their popularity. Juvéderm® lasts 6 months to a year. Perlane has been touted to last a little longer than Restylane® but it is unknown if it lasts longer than Juvéderm®. In general, they all last around 6 months to a year. Juvéderm®, Restylane®, and Perlane are all hyaluronic acids. This is a complex sugar and protein molecule that resembles a wire brush. Each of the “wires” is able to attract a lot of water. This is how volume is created in the tissues when this molecule is injected into the tissues. This protein / sugar are almost unchanged from bacteria to us. Meaning, we have the same hyaluronic acid as bacteria. In fact, this is how the hyaluronic acids are created. Bacteria make the product that is processed by the manufacturers into a very safe product. Radiesse® is a very popular filler made up of calcium hydroxyapatite, the same building block as bone. This product has been shown to last around a year, although some studies show that it has been found present for more than 5 years. Because Radiesse® is found in our bones, it is highly compatible with our tissues. Because it can be found in our tissues 5 years later, you might be wondering why we don’t just inject Radiesse® and not the hyaluronic acids. Well, you can’t inject straight bone, i.e. Calcium hydroxyapatite. Hence, you need a carrier substance, something watery and slippery to allow the bony product to be injected. This carrier molecule / substance is the part that actually gets absorbed. With that absorption of the carrier substance your results can go down. You might still have calcium hydroxyapatite in there but it may be a smaller volume than what was originally injected. Radiesse® should not be injected too close to the eyes, however. The thin skin makes it so that the Radiesse® is more easily seen because it is white in color and can standout against the color of the skin. Hyaluronic acids are clear and not visible. Restylane® under the eyes is a very common procedure for the under eye hollows and bags. This procedure can be done in the office room under many different types and levels of anesthesia from ice to local and regional anesthesia. You can read more regarding Anesthesia for Fillers. The injections are placed under the eye to volumize the under eye areas to break up the double contour deformity that we discussed earlier. The filler / injectable are used to fill in the hollows under the lower eyelid bag so that the bag is not as prominent relative to the hollow. The filling also improves the transition from the lower eyelid bag to the cheek. More recently, the plastic surgery, facial plastic surgery, cosmetic surgery, and dermatology communities are finding that hyaluronic acids injected into the lower eyelid hollows are finding more longevity than what was originally believed. This has also been the case for other areas of the face that have received Restylane® and other fillers. Some practitioners have experienced results that have lasted for more than 2 years in the under eye area. This piece of news has been a great find for the many people that have experienced lower eyelid hollows and bags. Other improvements, have been centered around the delivery of fillers to the under eyes. Some doctors are using larger cannulas to avoid bruising. They employ this technique much in the way that fat injections for the face have been done in the past. Others have employed smaller needles (smaller than 28 gauge needles) to treat the more superficial areas to avoid small lumps. The use of Botox® 2 weeks before the Restylane® and on the same day has been an approach to extend the longevity of the filler. The Botox® weakens the muscles to prevent the Restylane® from being metabolized and hence promote a longer lasting effect from fillers / injectibles. Avoiding regional anesthesia has also been practiced more to avoid the additional bruising and swelling that lidocaine can cause when it is injected into the inferior orbital nerve to carry out regional nerve anesthesia. 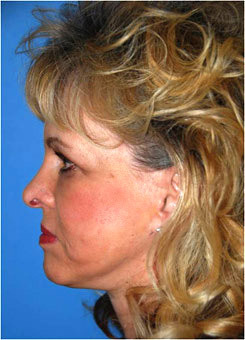 This technique causes a nerve block to a region that is innervated by the inferior orbital nerve. The main alternative to this is to use topicals in its stead. More clinicians are using larger volumes in the lower eyelid area and surrounding cheek area. For longer lasting results, fat injections under the eye or the YoungVitalizer™ in this area can be considered. The results that can be obtained with these procedures can be in the order of years, sometimes 10-12 years. One thing to realize with these treatments is that if you were to get fat injections or the Young Volumizer and your imaginary twin did not, it is most likely that you will always look better than that twin that didn’t receive these longer lasting procedures. This can also be the case for fillers like Restylane® under the eyes.